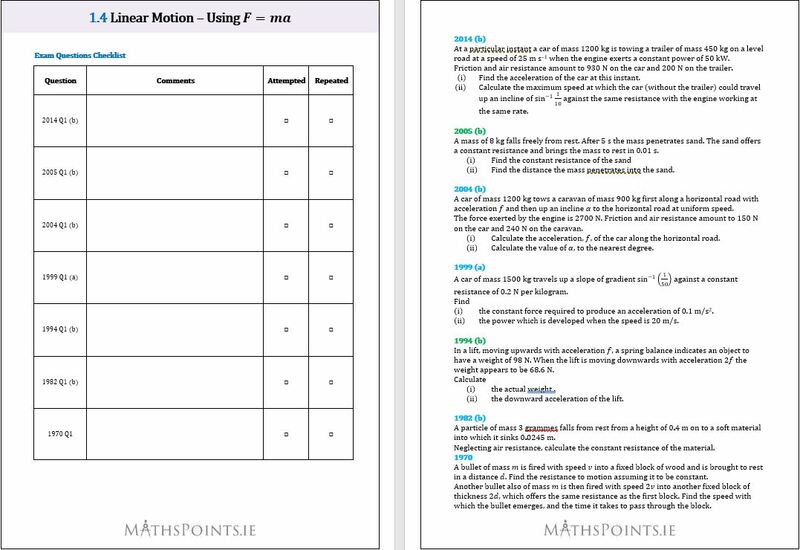 Get a head start on your Junior or Leaving Cert Maths or Applied Maths revision with our clear and concise notes and our visual and colourful question and solutions packs. 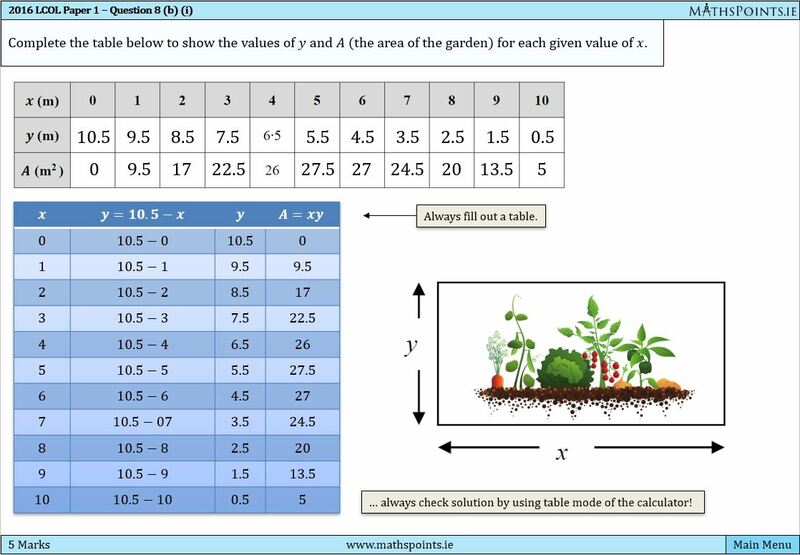 Solutions to all past papers 2010 – 2018 as well as all relevant old course solutions back to 2000. Menu system on all documents for easy navigation between questions. 2 to 4 page summaries of all topics. 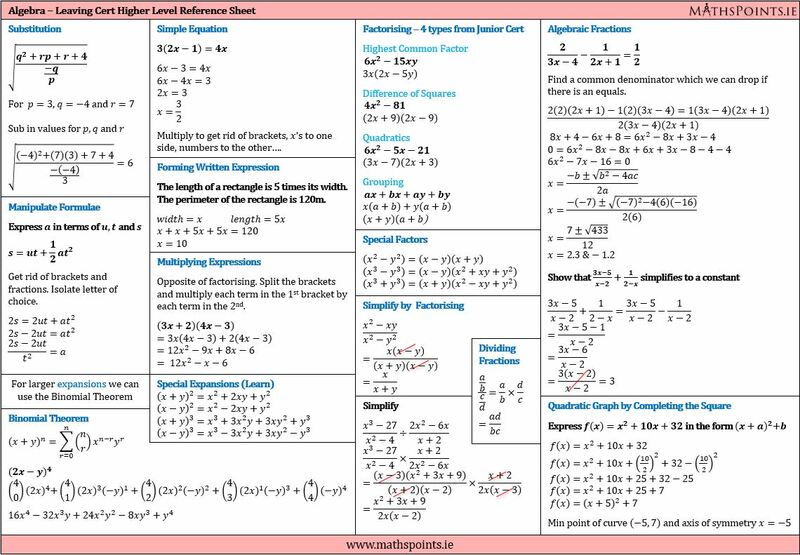 Quick reference sheets for students to help when revising or tackling exam questions. Questions by topic gathered from a variety of sources. Checklists and comments sections so that students can take control of their own revision. For more info or to sign up to Easter Revision courses in the Midlands fill in the form.